Minutes away from pristine beaches, water sports, and lots of family attractions!!! 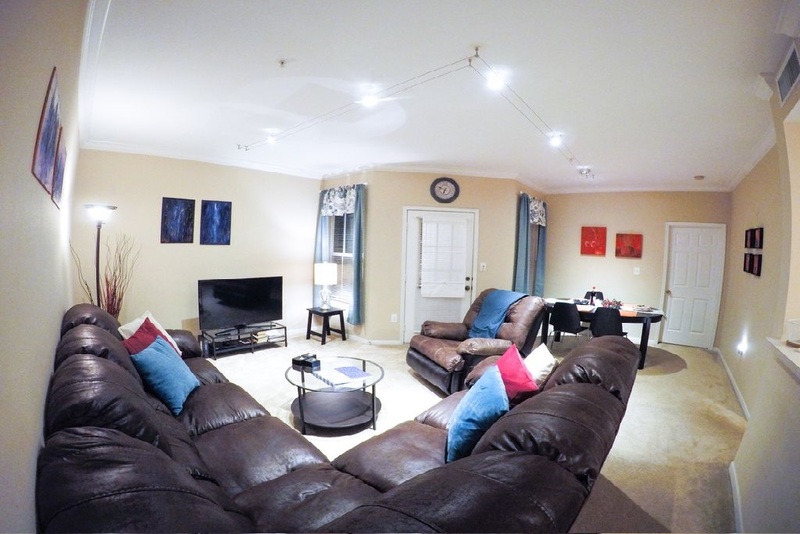 All listed apartments have a fully equipped kitchen, dining area, large living room, and a patio-type balcony. Master bedrooms, which includes a either a king or a queen size pillow top bed, have private bathrooms with a walk-in closet. Second bedrooms is furnished with a two full size beds. Towels, pillows and linens are included. Dining area provides an extendable table that can easily sit up to six guests. 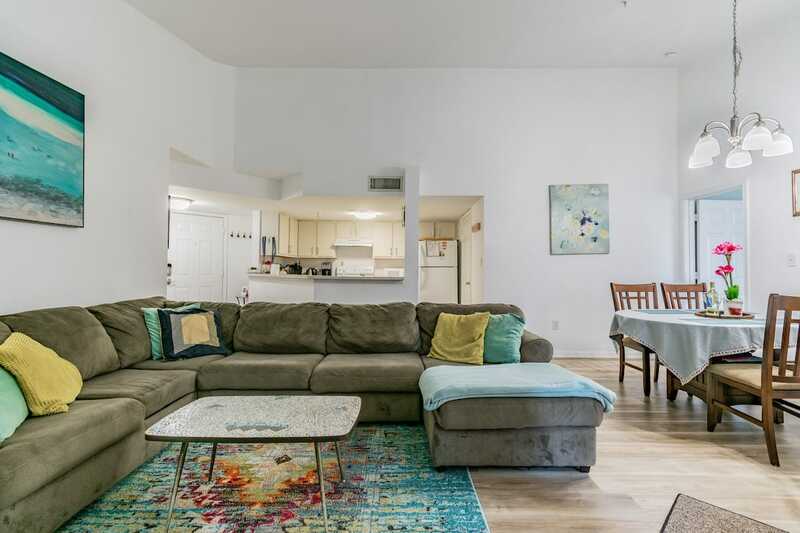 Specious living room area is furnished with a large and comfortable sectional couch, coffee table and a flat screen television. 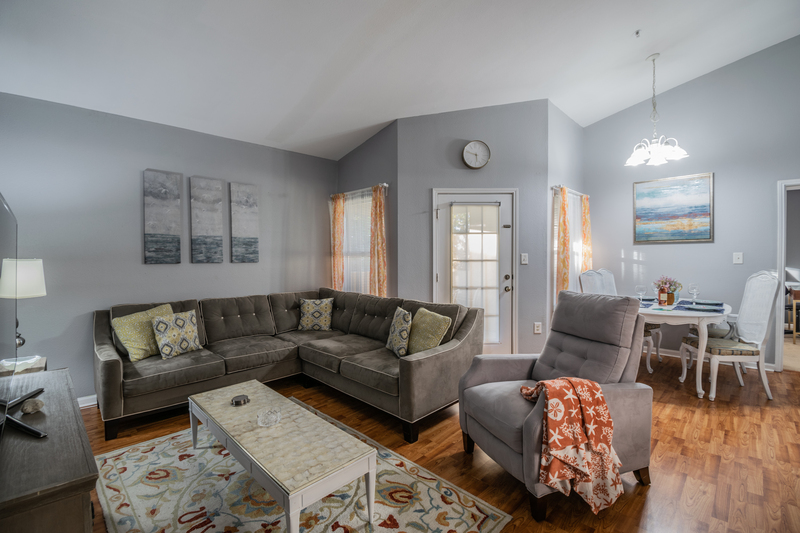 Kitchen is fully equipped with a stove, refrigerator, dishwasher, microwave, toaster, coffee maker, as well as all the pots and pans, dishes and utensils. Units also have in-unit washer and dryer and a patio storage where your will find all your beach gear including chairs, coolers, blankets, umbrellas and water floats. For your convenience the apartment is accessible via a keyless door lock so you do not have to worry about accidentally misplacing your key. Free Cable TV, Netflix, as well as High-Speed Internet is included. Avalon at Clearwater is a gated, resort-like, condominium community that offers a family friendly environment with a heated swimming pool, 24/7 fitness facilities, and a luxury clubhouse with a kitchen, fireplace, and a barbecue area. 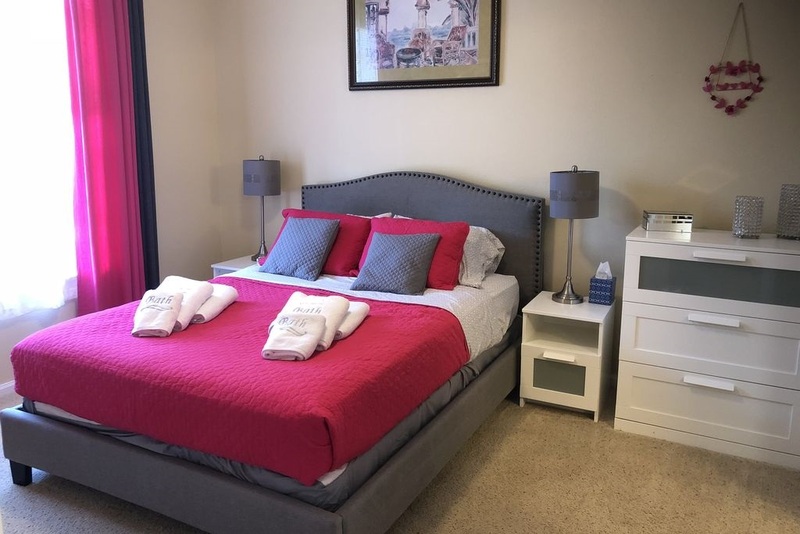 It is located in the heart of Clearwater Florida and is within a walking distance to great restaurants, grocery stores, and public transportation. Clearwater is located just minutes away from award winning beaches, boating, fishing, golfing, jet skiing, parasailing, biking, and many more beach activities. Famous Pier 60 at Clearwater Beach, where all the attractions are available is just 7 min away. Tampa International Airport is 25 min away; Busch Gardens is 45 min away and the rest of Florida's major attractions like Disney World, LEGOLAND, Universal Studios, and Sea World are just a short 90 min drive. We have partnered up with iTrekkers.com* to give our guests the opportunity to explore Florida's outdoors with the best local guides! American food: Abe's Place (abesplace.com) just in front of the Avalon. Sushi & Thai food: Thai Coconut (thethaicoconut.com) right next to Abe's Place. Italian food: Cristino's (cristinospizzeria.com) on Fort Harrison Ave.
You can also try few restaurants on Cleveland St. in downtown Clearwater or drive to Clearwater Beach. Plenty of good food and attractions there. Enjoy! Pubilx: Right across Missouri Ave. Nature's Food Patch: (naturesfoodpatch.com) One mile North at Missouri Ave. & Cleveland St.
To the Beach by Public Transportation: Directions - Visit Pinellas Suncoast Transit Authority for more info.